There is now a dragon at Paignton Zoo Environmental Park. 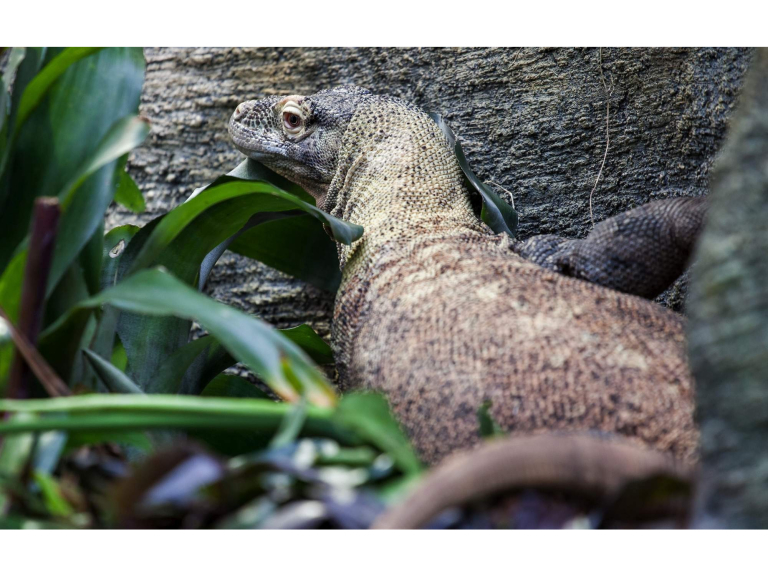 The six-old female Komodo dragon has come from Barcelona Zoo. She made the 18-hour road trip in the care of an experienced animal movement firm, Wildlife Specialist Services. An adult Komodo dragon is a formidable creature, capable of running in short bursts of up to 20kph (12mph). It has strong front claws and a powerful tail and can detect carrion from up to 6 miles. Paignton Zoo Environmental Park is a registered charity. For more information go to www.paigntonzoo.org.uk or ring 01803 697500.